ROCKLEDGE, Florida, October 17, 2016 – Roswell’s all-new, strapless Triton Rack was selected as an Innovation Award winner above more than 20 other entrants in the Deck Equipment & Hardware category, during the Innovation Awards Breakfast for the 2016 International Boatbuilders Exposition & Conference (IBEX). The Triton Rack has also been recognized as one of the Top 5 new boat accessories unveiled at IBEX 2016 by Boat.com. 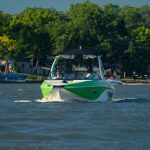 The new rack brings innovative form and function to the marine industry by adjusting to accommodate boards of varying sizes with simple movements and durable parts. IBEX is the marine industry’s largest technical trade event, owned and produced by Professional BoatBuilder magazine and the National Marine Manufacturers Association (NMMA), and gathers thousands of industry professionals annually. This year 85 different entries across 13 categories were evaluated by a panel of judges, hoping to highlight the best and most innovative additions within the industry. The Triton Rack embodies that innovation. “I’ve been sitting back watching and learning from existing strapless racks for years, playing with ideas in my head of how we could redefine how a board rack worked and looked, with more features and benefits at a more affordable price,” says Darrick Wilson, Chief of Design at Roswell. “That to me is the definition of better design and true innovation.” The Triton Rack is the result of that patience. Anyway, you look at it, Roswell is once again setting new standards in marine innovation and design and is ready to take your wakeboarding/wakesurfing experience to new heights. For nearly two decades, Roswell Global has specialized in design, manufacture, and sale of lifestyle products for OEM and retail consumers around the world. 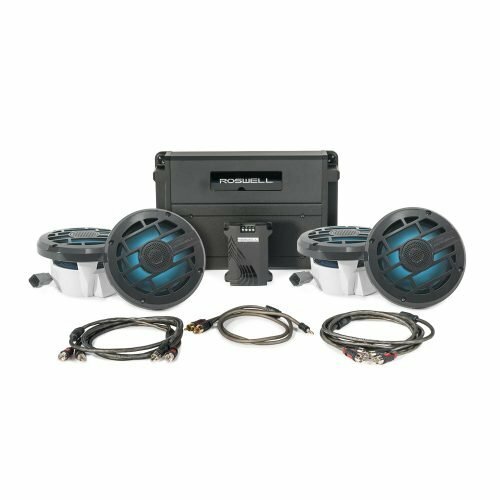 Our diversified brand portfolio includes Roswell Marine audio and accessory products and Airhome wireless home audio products. For more information about Roswell Marine, visit www.roswellmarine.com or follow us on Facebook, Instagram, Twitter, and LinkedIn. For more information about Airhome, visit www.airhome.io or follow us on Facebook, Instagram, Twitter, LinkedIn, and Houzz.